Manufacturer of a wide range of products which include double diaphragm pumps, hydraulic actuated diaphragm pumps, motorized operated diaphragm pumps, hydraulic actuated diaphragm jacketed head type pumps, hydraulic actuated diaphragm p.t.f.e head pump and actuated diaphragm pumps. 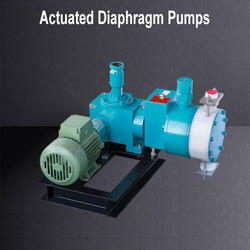 We are successfully ranked amongst the top manufacturer, exporter and supplier of broad range of Double Diaphragm Pumps. These diaphragm pumps are developed from the high grade material & modern techniques in fulfillment with international standards. Our diaphragm pumps are appropriate for use in cell removal, dis filtration & continuous fermentation applications. 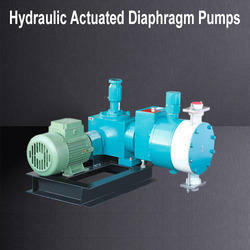 We are giving these diaphragm pumps in various specifications as per customer’s choices. We are counted amongst the noteworthy enterprises engaged in manufacturing, exporting and supplying high quality Hydraulic Actuated Diaphragm Pumps that can work on any stable surface even in confined areas. Offered diaphragm pumps are used to handle most corrosive, ceramic and chemical fluids. Our offered diaphragm pumps are stringently tested on several parameters by our quality experts so as to supply a defect free range. 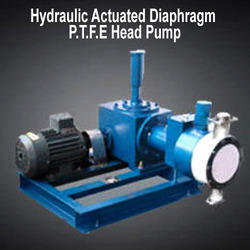 We offer these diaphragm pumps in different specifications according to the demands of customers. 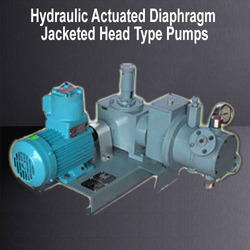 Our organization has gained recognition as a flourishing organization for offering high quality Hydraulic Actuated Diaphragm Pumps. These diaphragm pumps are accessible in different specifications in accordance with the needs of customers. 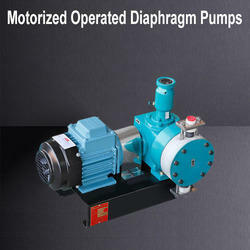 Offered diaphragm pumps are used in beverage industry, automotive industry chemical industry, and construction industry. We adhere to strict quality process, so here we present you the better design and quality which you will not have to compromise. Keeping track with latest market development we are highly engaged in offering Hydraulic Actuated Diaphragm Jacketed Head Type Pumps. Our offered diaphragm pumps are developed at our sophisticated manufacturing unit utilizing top notch material & latest technology in line set standards. 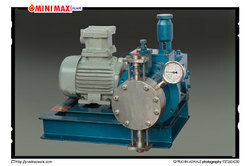 The offered diaphragm pumps are comes in diverse specifications to meet the several demands of customers. 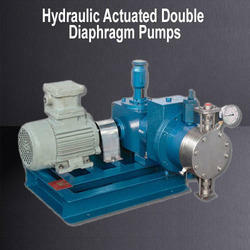 We are giving these diaphragm pumps from us at nominal rates in a given time frame. Steady State metering accuracy of + -1% of pump output, at single setting of stroke from 10% -100% Reproducibility (Repeatability) better than +/- 1.5% of set point. They are compatible with most of fluids. Looking for Diaphragm Pumps ?